RPG Developers who have traditionally stayed within the AS/400 ecosystem often ask: If I were to learn another language which one should it be? The best way to answer this is to do a Google search for the top programming languages to learn in 2018 and here is what you will find. When you go through the different surveys, blog posts, articles or white papers they all point to the same core languages. Perfect. They all run on the IBM i. Combine any of these languages with modern programming techniques for RPG (RDi) and you will increase your marketability tenfold. Here is an article from a candidate perspective on his experience with the recruitment process. Unfortunately, this goes on all too often. If you are not getting the right candidates you might want to take a look at your internal processes. There are some simple fixes you can put in place. What would you rather have a bad job with a good boss or a good job with a bad boss? Far too many people work for great companies but have a terrible boss. Don’t you ever wonder how they get there? This is a short article highlighting what a cancer a bad boss can be not only to a company but your career. “The year 2017 has seen some resume trends on the rise — like adding hyperlinks to your resume or building it with a template. But also, some resume tips never get old”. “The ability to tell an engaging, compelling, and persuasive story is a hallmark of effective leadership and executive presence.” But its not just for leaders. No matter what your role is in an organization the ability to tell a great story is one of the most important skills to have. Does all this technology make us less productive? There is no question that technology can make us more productive and efficient. But it can also make us less productive and not efficient. Absolutely. Think about it this way. How much do you get accomplished when you are in the middle of coding an application and people keep coming up to your desk and interrupting you? Here is a great article and then an associated one that lists out the top 27 productivity hacks for 2018. This is somewhat scary. Most participants in this in-depth study were a little shocked about how much they used their phones. While technology has given us the tools to become much more productive it can also work against us. 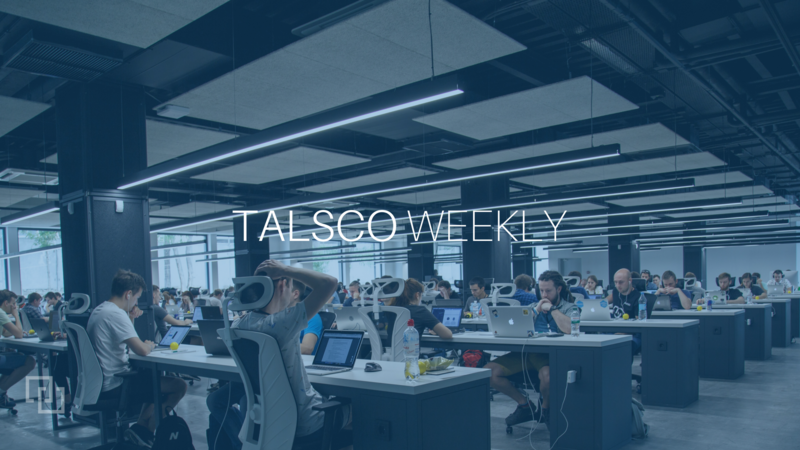 Please use the social media buttons to share this issue of Talsco Weekly. Thank you!